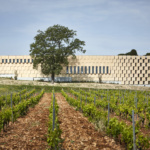 With a wine-producing history stretching back three millennia to Greek colonization in the 6th century B.C., the French region of Provence is nearly synonymous with viticulture. 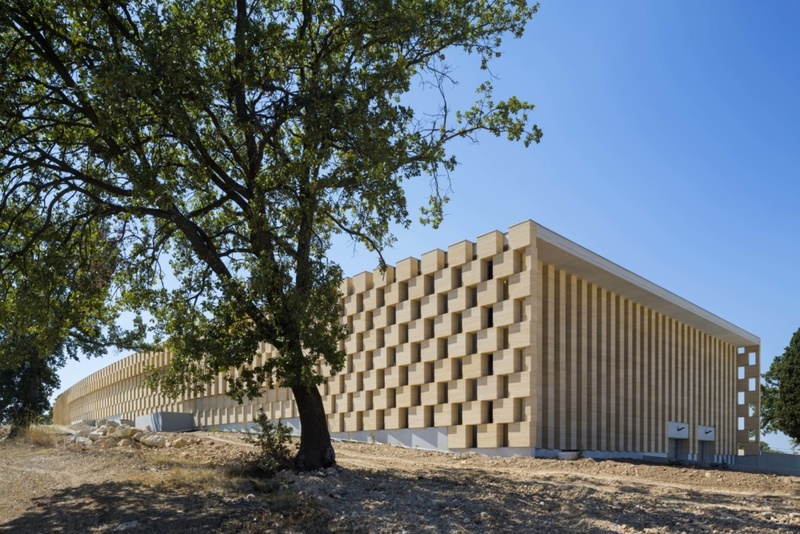 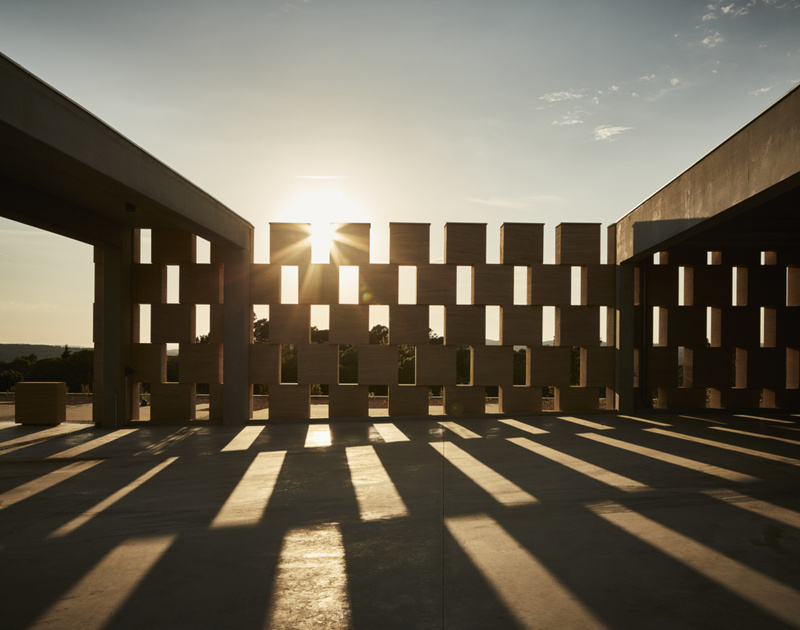 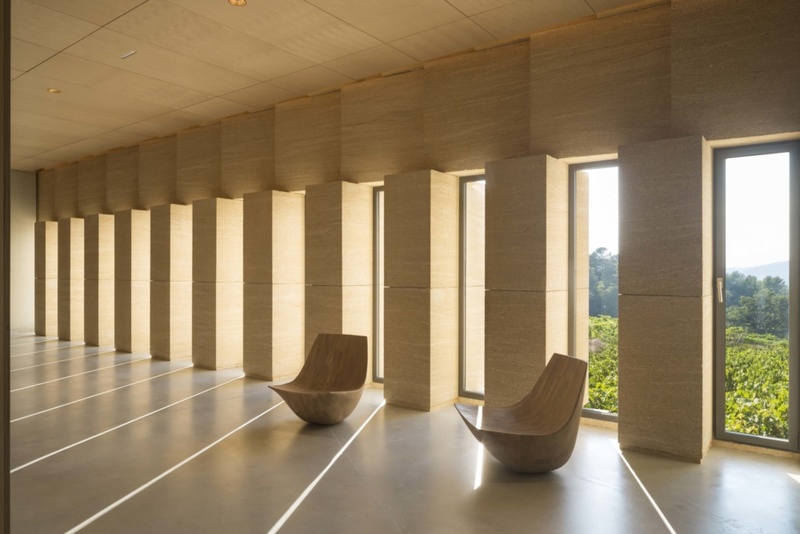 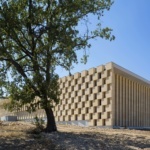 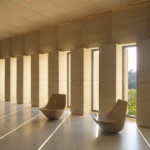 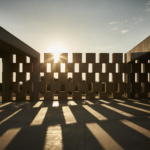 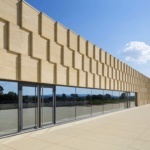 Winemaker Les Domaine Ott Chateau de Selle has called the region home since 1912 and last year completed a full-scale revamp of its facilities by Paris-based Carl Fredrik Svenstedt Architect (CFSA) featuring a facade of self-supporting one-ton blocks of local stone. 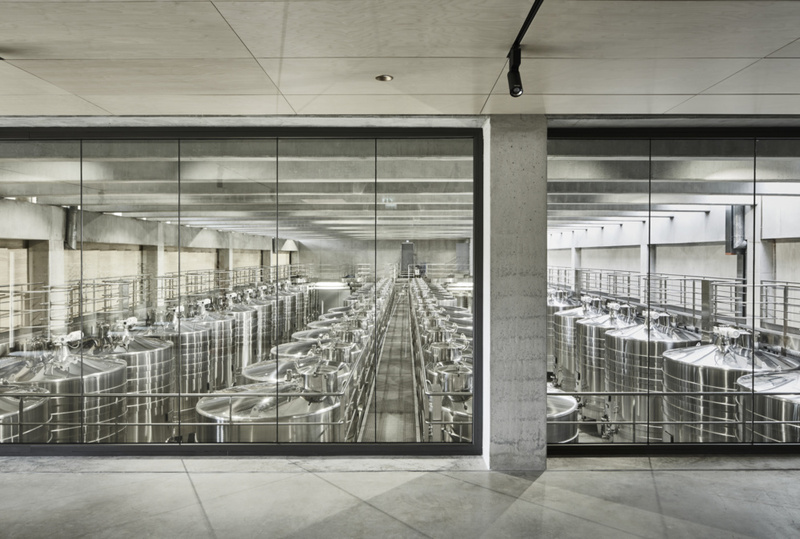 The 47,000-square-foot winery is partially nestled into the hillside, rising from a stepped concrete foundation. 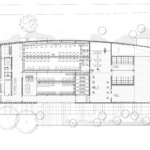 The two primary elevations of the structure run adjacent to each other, with that to the east following a gentle curve. 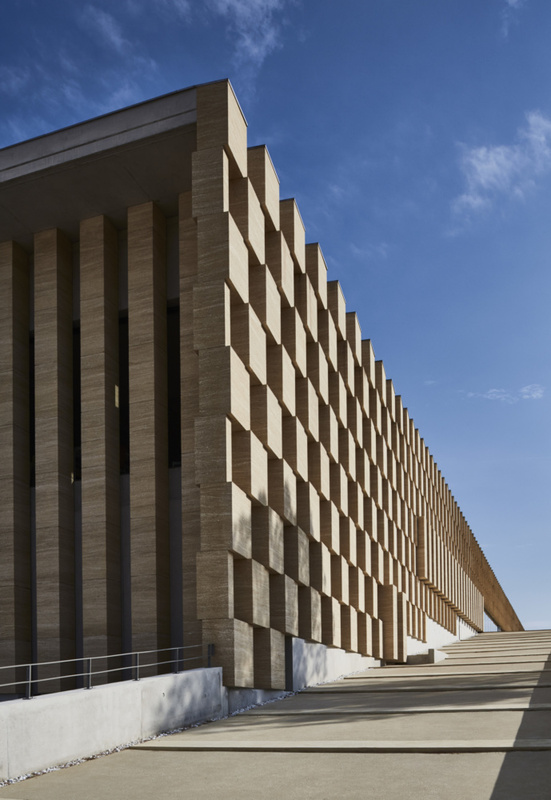 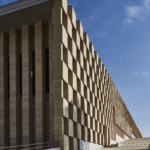 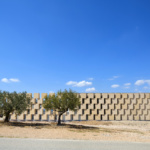 Each stone block of the facade is approximately 3 square feet in area and 1.5 feet in height, stacked to reach a total height of nearly 33 feet. 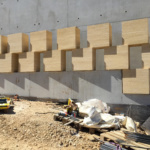 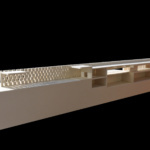 Each stone block weighs approximately a ton, allowing for the insertion of certain load-bearing elements into the blocks for interior slabs and beams. 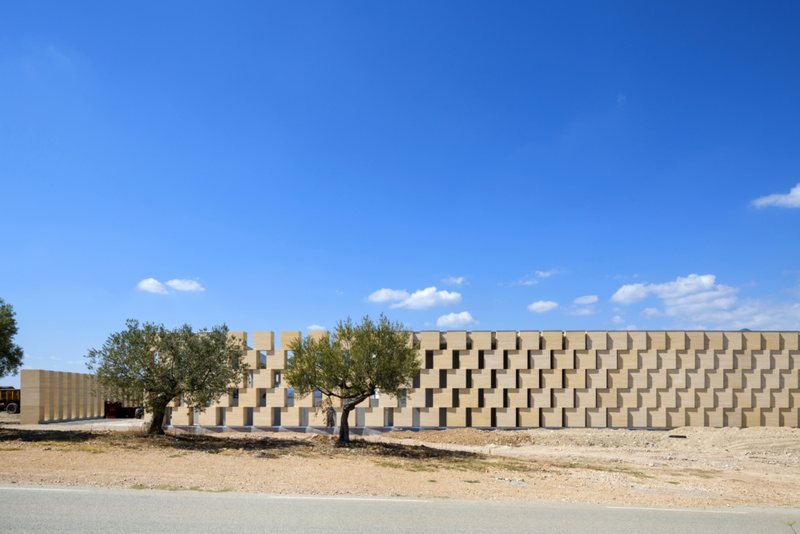 The arrangement of the self-supporting stone blocks dilates and contorts according to interior function; the central body housing dozens of stainless steel and wooden wine barrels must be guarded from UV rays, while gaps in the imposing elevations crop towards the north and south for office spaces and screened courtyards. 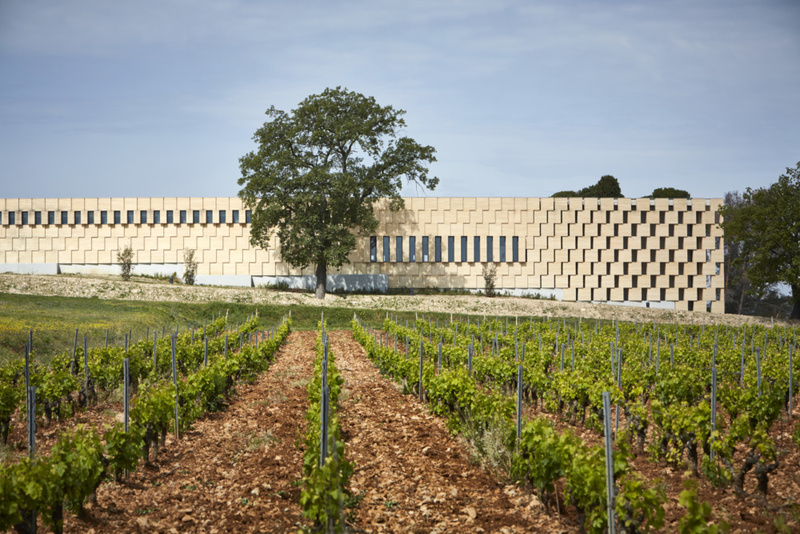 For French vineyards, the concept of terroir, or the unique qualities of local mineral and environmental conditions, is directly credited for the final palette of each vintage. 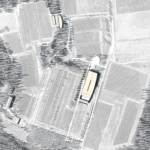 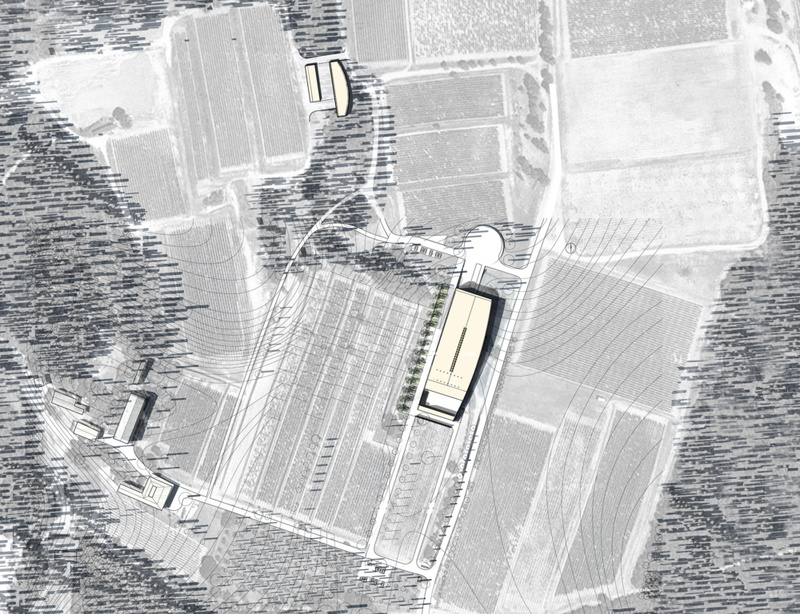 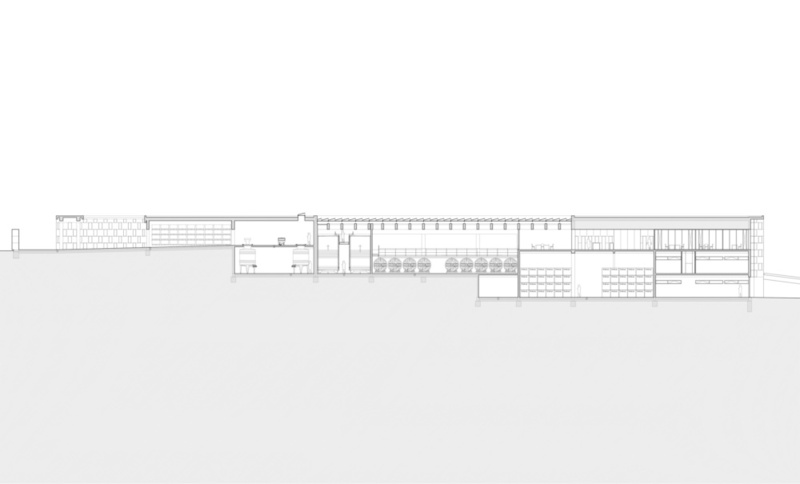 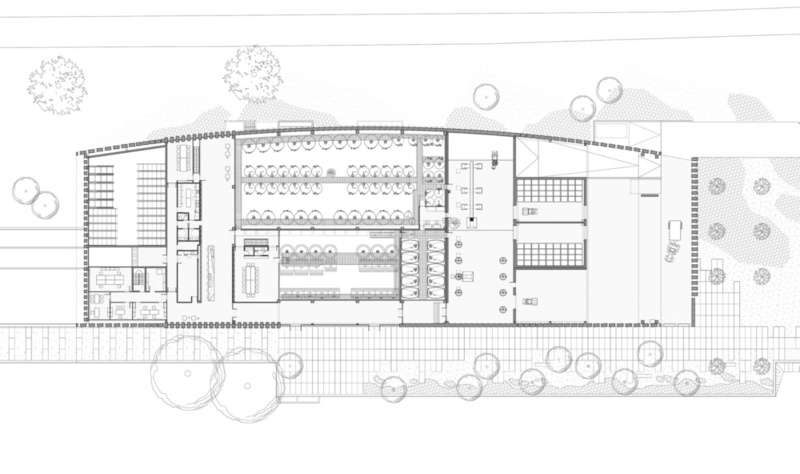 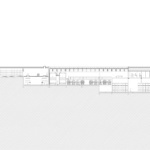 For CFSA, it was imperative that the design of the new winery similarly reflect the surrounding geography. 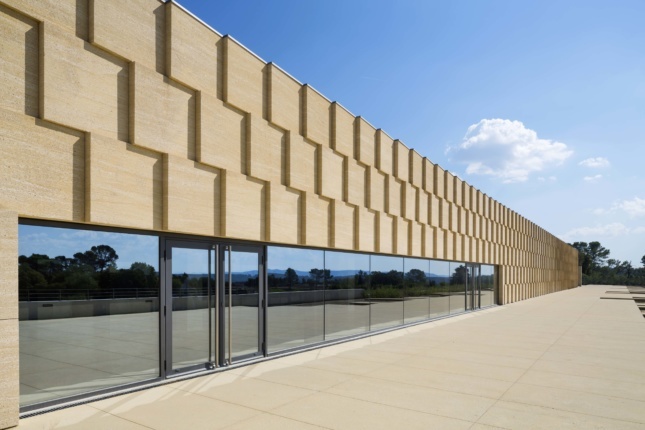 To this effect, the design team procured the beige limestone blocks from quarrier Carrières de Provence who source from local a limestone quarry dating back from the Roman era. 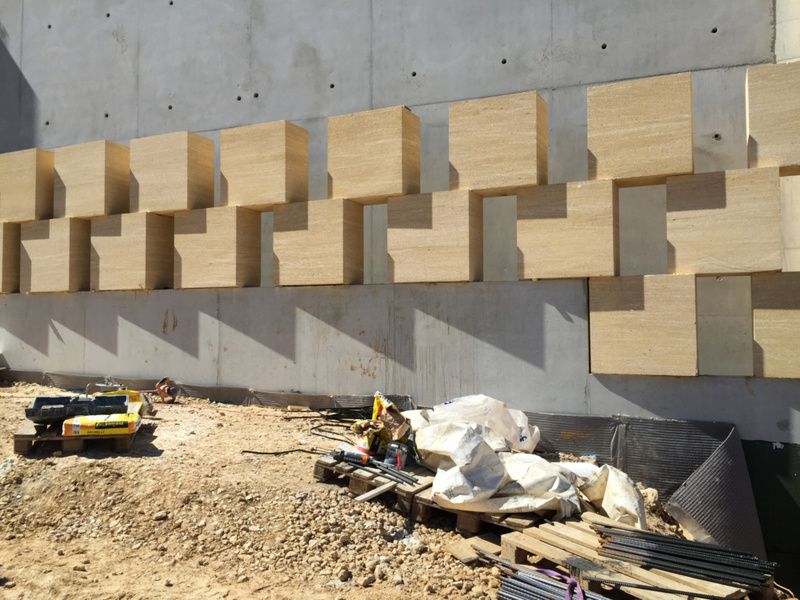 The large-grain stone, known as La Pierre du Pont-du-Gard, was first roughly harvested from the quarry and subsequently fashioned in an on-site workshop with diamond disc rotors. 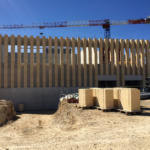 Following fabrication, the stone blocks were transported 125 miles from Carrier de Provence’s facilities to the construction site and craned into position atop the perimeter of the concrete shell. 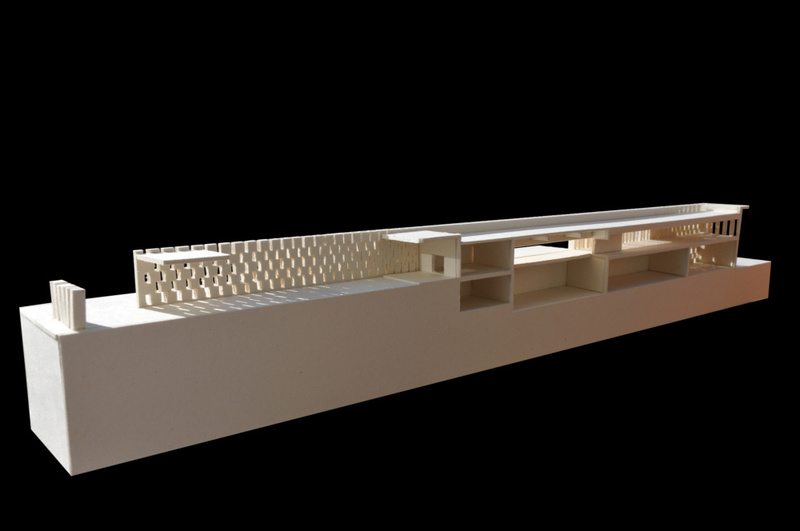 Joinery of the blocks was fairly straightforward: they are held together by gravity and mortar. Since Provence is located in an active seismic zone, CFSA added two key elements to boost earthquake resistance: every sixteen feet, the stone piers were hollowed to facilitate the insertion of a vertical concrete pier directly to the foundation, while strategically placed pins are used to the same effect for areas with significant openings. 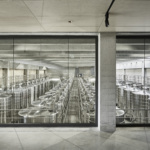 Similar to historic wineries that rely on a system of vaults to allow for flexible interior floor plans, the great halls of the facility are supported by a system of precast concrete beams and columns. 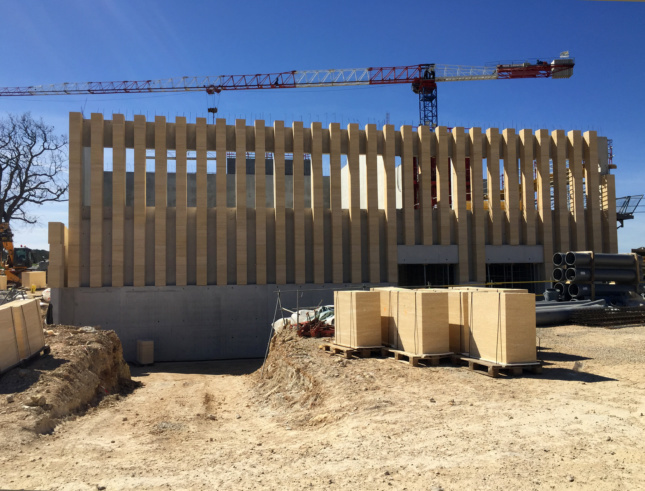 CFSA relied on rebar and infill concrete between limestone columns and the core to tie the stone and concrete elements into a cohesive structural system.